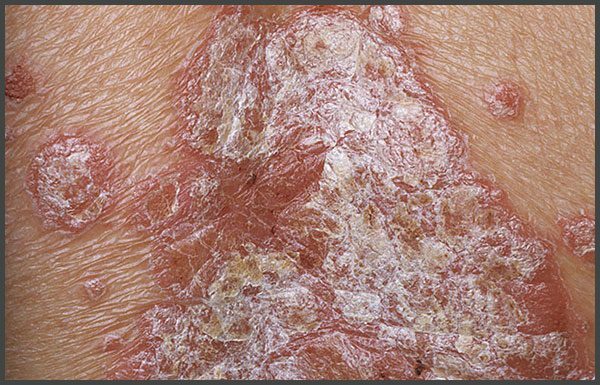 More than 80% of all cases of psoriasis refer to plaque psoriasis. 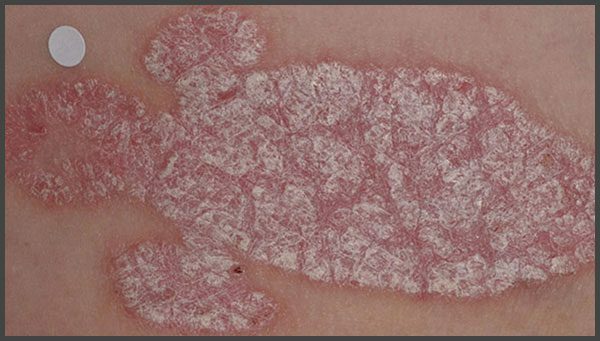 It is characterized by red skin patches protruding above the neighboring normal skin. Silvery scales are formed on the upper part these patches.